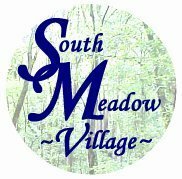 South Meadow Village is a resident owned cooperative 55+ community of retired and semi-retired active seniors. Located in Carver, Massachusetts, just minutes from interstates 495 and 95, Routes 3, 44 and 24, we are midway between Boston, Providence and Cape Cod. Our Village is nestled on 336 acres of oak and pine. It consists of 522 homes arranged in 59 uniquely landscaped clusters, providing security comparable to neighborhood cul-de-sacs. Safe underground electricity, underground telephone and expanded basic cable service, including our own Digital 918 for Village notices, as well as water and sewerage connections, are provided to each home. We are located approximately 5 miles from Plymouth Harbor and 30 minutes from scenic Cape Cod. A typical manufactured home in South Meadow Village is comparable to a ranch home. Previously called mobile homes because they were delivered to the site on wheels, these homes are far from mobile. Most homes feature a fully applianced kitchen, two or three bedrooms and one or two baths. Smaller units are about 14 to 16 feet wide and up to 70 feet long. Larger homes vary from 23 to 28 feet wide and 40 to 60 feet in length. Living space averages between 900 and a large 1,600 square feet. Heat is provided by oil-fired, forced hot air systems or the newer homes may be equipped with propane appliances and heat. Amenities, such as a fireplace, cool central air conditioning, skylights, fans, sun porches, carports and decks may have been added. Each unit is set on a lot that varies in size from 7,500 to more than 10,000 square feet. It's complete with a paved driveway and a storage shed. Homeowners are encouraged to landscape to their liking, which compliments the overall beauty of our great village. South Meadow Village was voted #1 Retirement Community by Reader's Choice Award ! Click Here to read our Mission Statement - Our Vision for South Meadow Village and our Values ! Our well-staffed Sales Office can assist you in finding a home that is sure to fit your needs.